Why are Some Art Pieces so Expensive? Why are some artworks so expensive? We look at the difference between modern art and classics and we can see a huge difference in prices, from hundreds up to millions of dollars. Modern artists gets commissioned to do work for a few hundred bucks, some artists does some art pieces just because they want to and it would sell up to thousands. But even with all these fluctuations all the pieces are still pricey. When one is asked this question, it is important to ask that person asking what he considers as art. For it is in that question lies the answer. Every human person has different things he values and it is the person who puts the price tag on art. But there are two ways to look at the value of art. There’s the practical value of art then there’s the sentimental value. 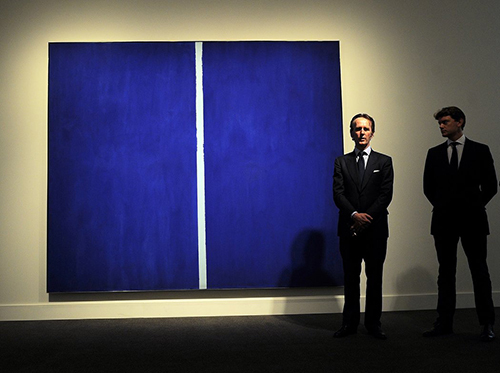 Both play a role in deciding the price of a piece of art. When you think about it art isn’t free. Artists are human being after all and human being need to eat to live. To eat you need food and to get food you need money. To get money you need to work and artists work by making art. To be able to make art however you’ll need materials, which costs money. In the end even artists are subject to the vicious cycle of making money so they can eat and live, to live so they can work some more, and to work more so they can earn more money, and so forth and so on. The price an artist puts on his work is usually rate per hour multiplied by hours spent plus the cost of materials. When a person commissions an art they have to talk it out with the artists details such as what kind of work is it, or when is the deadline so this part varies from instance to instance. As for the materials, some of them are cheap, some aren’t. It all comes down with the type of art in question. Are you asking for a painting? A sketch? Or a digital art? Being an artist isn’t just a hobby. Its also for many, a job. It needs resources and resources cost money. It is this that decides the practical value of art. Next comes the sentimental value. Its this value that most billionaires pay for. Imagine you received a dead guy’s painting of robots one day? Its in good condition but you find that you don’t have anywhere to put it up, so you decided to sell it. Can you put a value on that if the painter was a nobody? You can. You just need to find the right people who wants it. If a famous somebody made a painting about robots and was able to sell that to someone for $1000 you can probably sell another painting of robots to the same person, though not necessarily for the same price. It is the audience of these paintings that will ultimately put the price tag on an artist’s work. To give you an example lets look outside art. In the realm of nerds, collecting cards from card games is a common hobby. One such card game is Magic: The Gathering (also abbreviated as “MtG” ). Collectors of MtG cards pay thousands of dollars for very rare cards. One such card, the “Black Lotus”, trumps all the rest and costs from $400 to $27,000 in the market depending on the card’s condition. To someone who isn’t into the card game this notion is ridiculous: these are just pieces of cardboard. But from a collector’s point-of-view it is a very rare and valuable item. Same goes for art. People who likes certain art are the ones who puts the sentimental value on them and this could go from hundreds to even millions. An artist finding the right audience COULD become rich overnight, but it takes both luck into finding them and skill into proving that your work are worth their money.